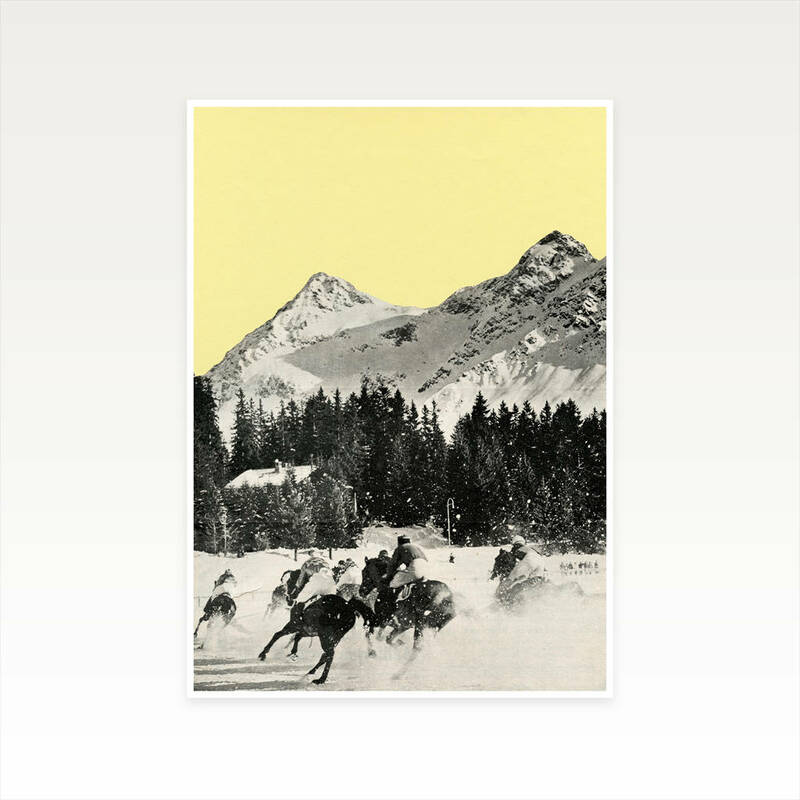 A surreal mountain print, part of my Coloured Skies series. An interesting horse racing print which would appeal to both men and women. Whether you are a fan of horses or the great outdoors, this landscape art is right up your street! 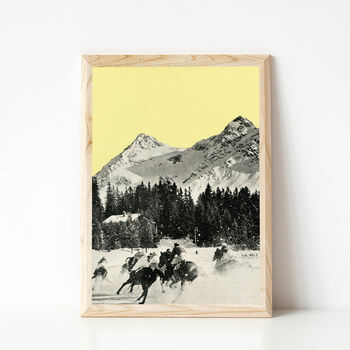 Add a yellow statement piece to your wall in a rustic or modern setting.